When​ ​you​ ​have​ ​a​ ​website,​ ​the​ ​most​ ​important​ ​factor​ ​in​ ​whether​ ​or​ ​not​ ​you are​ ​successful​ ​–​ ​whether​ ​your​ ​website​ ​is​ ​trying​ ​to​ ​sell​ ​something​ ​or​ ​simply trying​ ​to​ ​get​ ​followers​ ​and​ ​readership​ ​–​ ​is​ ​how​ ​much​ ​traffic​ ​you​ ​have. 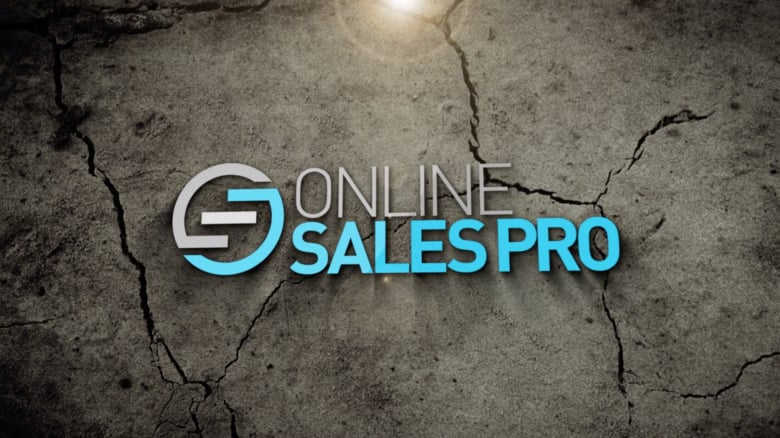 It​ ​allows you​ ​to​ ​establish​ ​influence,​ ​and​ ​of​ ​course,​ ​to​ ​give​ ​you​ ​the​ ​ability​ ​to​ ​earn money​ ​through​ ​affiliate​ ​sales,​ ​direct​ ​sales,​ ​or​ ​even​ ​advertising​ ​on​ ​your website​ ​if​ ​your​ ​traffic​ ​is​ ​great​ ​enough. That’s exactly​ ​what​ ​this​ ​guide​ ​is​ ​about. 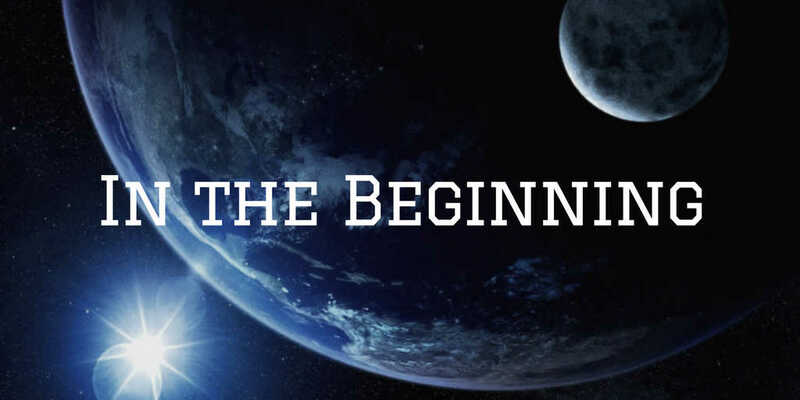 The ​​first​​ thing​​ you’ll ​​learn​​ is ​​the​​ number​​ one ​​thing​​ that​​ you ​​have ​​to ​​do before​ ​you​ ​take​ ​a​ ​single​ ​step​ ​towards​ ​getting​ ​traffic​ ​to​ ​your​ ​website. This​ ​thing​ ​must​ ​be​ ​accomplished,​ ​or​ ​else​ ​all​ ​the​ ​traffic​ ​in​ ​the​ ​world won’t​ ​do​ ​any​ ​good. You​​ will ​​learn ​​a ​​killer​​ blogging​​ technique ​​that​​ will​​ allow​​ you​​ to ​​get traffic​ ​by​ ​blogging​ ​a​ ​very​ ​specific​ ​way,​ ​and​ ​how​ ​you​ ​can​ ​make​ ​your readership​ ​numbers​ ​blow​ ​up. ​You’ll​ ​also​ ​learn​ ​some​ ​YouTube​ ​video​ ​creation techniques​ ​that​ ​will​ ​help​ ​you​ ​specifically​ ​with​ ​getting​ ​views​ ​on​ ​your YouTube​ ​videos​ ​and​ ​then​ ​funneling​ ​them​ ​towards​ ​your​ ​website. You’ll​​ learn ​a ​​method ​​for ​​posting​​ a ​​link​​ to​​ your​​ website​​ multiple ​​times a​ ​day​ ​where​ ​could​ ​potentially​ ​be​ ​seen​ ​by​ ​thousands​ ​or​ ​even​ ​tens​ ​of thousands​ ​of​ ​people,​ ​and​ ​it​ ​won’t​ ​cost​ ​you​ ​a​ ​single​ ​dime. You’ll ​​be​​ able​​ to​​ see​​ example​​ emails ​​that​​ will ​​help​​ you​​ approach people​ ​so​ ​that​ ​you​ ​can​ ​get​ ​traffic​ ​to​ ​your​ ​site​ ​from​ ​other,​ ​more popular​ ​websites. You’ll ​​learn ​​how ​​iTunes ​​can​​ help​​ you​​ turn​​ your ​​trickling ​​website​​ traffic into​ ​a​ ​huge​ ​flowing​ ​river​ ​of​ ​traffic​ ​by​ ​doing​ ​something​ ​regularly​ ​that​ ​is both​ ​fun​ ​and​ ​valuable​ ​for​ ​people​ ​in​ ​the​ ​same​ ​industry​ ​as​ ​you​ ​are. By​​ the ​​end ​​of​​ this​​ guide, ​​you​​ will ​​know ​​how​​ to​​ approach​​ another website​ ​or​ ​blog​ ​and​ ​get​ ​them​ ​to​ ​allow​ ​you​ ​to​ ​write​ ​a​ ​guest​ ​post​ ​and then​ ​put​ ​it​ ​on​ ​their​ ​website,​ ​in​ ​front​ ​of​ ​all​ ​of​ ​their​ ​visitors,​ ​with​ ​a​ ​link​ ​to your​ ​website​ ​as​ ​to​ ​drive​ ​traffic​ ​that​ ​way. You’ll​​ learn​​ a ​​method​​ that ​​will ​​allow ​​you ​​to​​ teach​​ a ​​large​​ group ​​of people,​ ​many​ ​of​ ​whom​ ​will​ ​want​ ​to​ ​visit​ ​your​ ​website​ ​when​ ​you’re​ ​all finished. …​and​ ​be able​ ​to​ ​gain​ ​not​ ​only​ ​traffic​ ​to​ ​your​ ​website​ ​but​ ​also​ ​a​ ​huge​ ​number​ ​of social​ ​media​ ​followers​ ​across​ ​multiple​ ​platforms. You’ll​​ learn​​ what​​ the​​ name​​ dropping​​ method​​ is​​ –​​ a​​ revolutionary​​ new method​ ​for​ ​getting​ ​some​ ​of​ ​the​ ​most​ ​influential​ ​people​ ​on​ ​the​ ​internet to​ ​link​ ​directly​ ​to​ ​your​ ​website​ ​without​ ​even​ ​asking​ ​for​ ​a​ ​link,​ ​or​ ​for anything​ ​else​ ​for​ ​that​ ​matter,​ ​in​ ​return. ​In​ ​fact,​ ​other​ ​people​ ​will​ ​distribute​ ​this​ ​report for​ ​you,​ ​all​ ​leading​ ​back​ ​to​ ​driving​ ​traffic​ ​to​ ​your​ ​website​ ​for​ ​free. 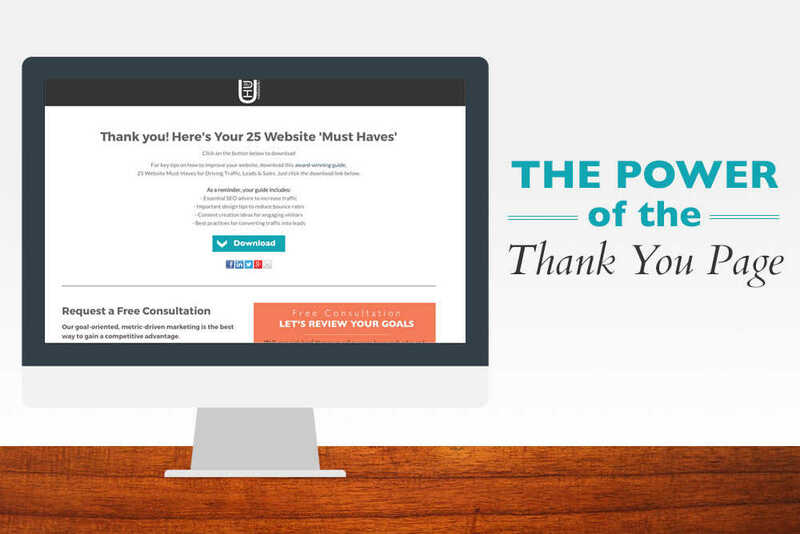 In​ ​this​ ​chapter,​ ​we’ll​ ​go​ ​over​ ​some​ ​specific​ ​tips that​ ​will​ ​allow​ ​you​ ​to​ ​improve​ ​your​ ​website​ ​and​ ​get​ ​your​ ​numbers​ ​where you​ ​want​ ​them​ ​to​ ​be. WordPress​ ​is​ ​a very​ ​popular​ ​platform​ ​that​ ​offers​ ​great​ ​functionality,​ ​good​ ​looking​ ​themes, and​ ​easy-to-use​ ​backend. Of​ ​course,​ ​how​ ​will​ ​you​ ​are​ ​able​ ​to improve​ ​the​ ​look​ ​and​ ​usability​ ​of​ ​your​ ​website​ ​will​ ​depend​ ​upon​ ​your expertise​ ​with​ ​the​ ​platform​ ​that​ ​you’re​ ​using​ ​or​ ​your​ ​access​ ​to​ ​experts​ ​who know​ ​how​ ​to​ ​change​ ​the​ ​design. We’ll​ ​go​ ​over​ ​some​ ​of​ ​those​ ​in​ ​a​ ​moment,​ ​but​ ​before you​ ​begin,​ ​you​ ​need​ ​to​ ​ask​ ​yourself​ ​what​ ​you’re​ ​trying​ ​to​ ​accomplish​ ​in​ ​the first​ ​place. Whatever​ ​your​ ​goal​ ​is, you​ ​need​ ​to​ ​decide​ ​upon​ ​it​ ​and​ ​keep​ ​it​ ​in​ ​mind​ ​while​ ​you​ ​are​ ​improving​ ​the look​ ​of​ ​your​ ​site. However,​ ​even​ ​if​ ​you​ ​are​ ​just​ ​trying​ ​to​ ​attract new​ ​followers,​ ​the​ ​more​ ​professional​ ​that​ ​your​ ​site​ ​looks, the​ ​more​ ​willing they​ ​will​ ​be​ ​to​ ​come​ ​back. This​ ​is​ ​a​ ​tool with​ ​all​ ​kinds​ ​of​ ​features​ ​and​ ​templates​ ​that​ ​you​ ​can​ ​use​ ​to​ ​build​ ​landing pages,​ ​sales​ ​pages,​ ​or​ ​whatever​ ​your​ ​website​ ​needs,​ ​and​ ​make​ ​them​ ​look amazing. Make​ ​sure​ ​that​ ​your​ ​site​ ​looks​ ​as​ ​professional​ ​as possible,​ ​even​ ​if​ ​you​ ​have​ ​to​ ​spend​ ​a​ ​little​ ​money​ ​to​ ​get​ ​there. If​ ​you’re​ ​looking to​ ​use​ ​tools​ ​or​ ​third-party​ ​applications​ ​to​ ​design​ ​your​ ​landing​ ​pages, squeeze​ ​pages,​ ​or​ ​sales​ ​pages​ ​here​ ​are​ ​a​ ​few​ ​things​ ​to​ ​keep​ ​in​ ​mind. There ​​is​​ no​​ standard pricing​ ​for​ ​applications​ ​or​ ​plugins,​ ​so​ ​you​ ​have​ ​to​ ​shop​ ​around​ ​and find​ ​which​ ​one​ ​is​ ​going​ ​to​ ​do​ ​the​ ​best​ ​job​ ​for​ ​you​ ​with​ ​the​ ​best​ ​deal. Find​​ something ​​that ​​will​​ work​​ for you​ ​that​ ​you​ ​can​ ​afford​ ​to​ ​create​ ​as​ ​many​ ​sales​ ​pages​ ​or​ ​landing pages​ ​as​ ​you​ ​want​ ​in​ ​the​ ​future. If ​​it ​​doesn’t work​ ​as​ ​advertised​ ​or​ ​simply​ ​doesn’t​ ​work​ ​for​ ​you,​ ​you​ ​want​ ​to​ ​be able​ ​to​ ​return​ ​it​ ​and​ ​get​ ​your​ ​money​ ​back.​ ​Many​ ​of​ ​these​ ​programs offer​ ​a​ ​money-back​ ​guarantee.​ ​You​ ​just​ ​have​ ​to​ ​look​ ​for​ ​them. Here​ ​are​ ​some​ ​of​ ​the​ ​signs​ ​and​ ​features​ ​that​ ​show​ ​people​ ​a​ ​site​ ​is professional​ ​and​ ​trustworthy.​ ​Make​ ​sure​ ​that​ ​your​ ​website​ ​has​ ​as​ ​many​ ​of these​ ​factors​ ​as​ ​you​ ​can. The​​ colors​​ of ​​the​​ website ​​are​​ carefully ​​chosen ​​and​​ complementary. Amateur​ ​websites​ ​will​ ​have​ ​contrasting,​ ​mismatched​ ​colors. The​​ images ​​are​​ of ​​the​​ highest​​ quality ​​and​​ are ​​completely​​ relevant​​ to the​ ​content​ ​that​ ​they​ ​surround. All ​​of​​ the​​ website​​ copy ​​is​​ professionally​​ written,​​ geared​​ towards​​ a specific​ ​purpose,​ ​and​ ​is​ ​completely​ ​free​ ​of​ ​typos​ ​and​ ​grammar mistakes. 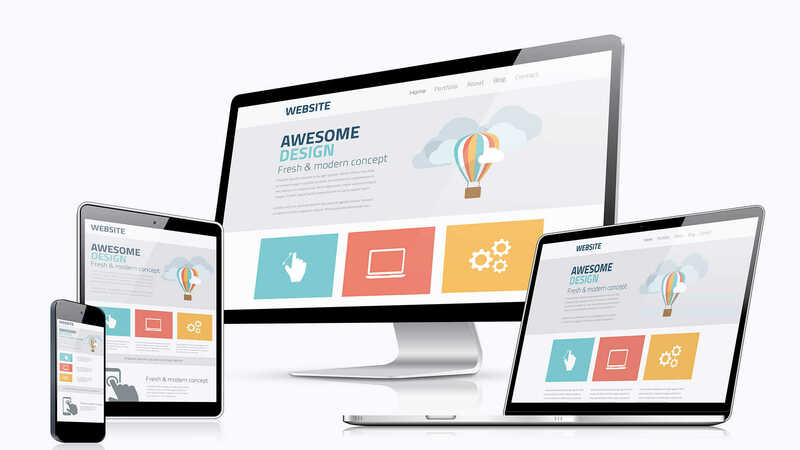 The ​​design​​ of​​ your​​ website​​ or​​ your ​​template​​ is ​​updated​​ and​​ stylish​​ for the​ ​current​ ​year.​ ​There​ ​are​ ​many​ ​WordPress​ ​templates​ ​out​ ​there​ ​that are​ ​several​ ​years​ ​old​ ​and​ ​haven’t​ ​been​ ​updated. You want​ ​to​ ​be​ ​using​ ​the​ ​same​ ​colors,​ ​the​ ​same​ ​logos,​ ​and​ ​the​ ​same fonts​ ​across​ ​all​ ​of​ ​your​ ​properties. You​ ​will​ ​have no​ ​problem​ ​finding​ ​WordPress​ ​themes​ ​that​ ​are​ ​responsive,​ ​but​ ​make sure​ ​that​ ​you​ ​test​ ​your​ ​website​ ​out​ ​before​ ​starting​ ​your​ ​traffic generation​ ​techniques​ ​because​ ​not​ ​every​ ​responsive​ ​theme​ ​works well​ ​with​ ​every​ ​type​ ​of​ ​site. With​ ​all​ ​that​ ​noted,​ ​you’re​ ​now​ ​ready​ ​to​ ​start​ ​generating​ ​traffic​ ​to​ ​your website! The​ ​first​ ​method​ ​that​ ​we’re​ ​going​ ​to​ ​discuss​ ​to​ ​get​ ​traffic​ ​to​ ​your​ ​website without​ ​spending​ ​a​ ​dime​ ​is​ ​the​ ​viral​ ​blogging​ ​method. You​ ​might think​ ​that​ ​every​ ​piece​ ​of​ ​content​ ​that​ ​you​ ​post​ ​is​ ​specifically​ ​intended​ ​to​ ​be shared​ ​and​ ​to​ ​go​ ​viral,​ ​but​ ​the​ ​difference​ ​is​ ​that​ ​you​ ​choose​ ​your​ ​topics​ ​and the​ ​format​ ​of​ ​your​ ​posts​ ​in​ ​very​ ​specific​ ​ways​ ​that​ ​have​ ​been​ ​shown​ ​to​ ​be most​ ​effective​ ​for​ ​viral​ ​content. We​ ​are​ ​going​ ​to​ ​go​ ​over​ ​some​ ​of​ ​these​ ​specific​ ​content​ ​types​ ​and​ ​show you​ ​how​ ​to​ ​give​ ​your​ ​posts​ ​the​ ​best​ ​chance​ ​to​ ​go​ ​viral. The​ ​first​ ​tip​ ​is​ ​to​ ​post​ ​on​ ​a​ ​regular basis.​ ​People​ ​are​ ​more​ ​likely​ ​to​ ​come​ ​back​ ​and​ ​read​ ​your​ ​content​ ​over​ ​and over​ ​again​ ​if​ ​you​ ​post​ ​regularly. That​ ​generally​ ​means​ ​posting​ ​at​ ​least​ ​once​ ​per​ ​week, but​ ​not​ ​so​ ​often​ ​that​ ​people​ ​are​ ​overwhelmed​ ​by​ ​it​ ​and​ ​can’t​ ​read​ ​it​ ​all.​ ​You always​ ​want​ ​to​ ​leave​ ​them​ ​wanting​ ​more. If​ ​you’re​ ​using​ ​WordPress,​ ​you​ ​can​ ​schedule your​ ​content​ ​to​ ​be​ ​published​ ​on​ ​a​ ​specific​ ​date​ ​and​ ​time,​ ​and​ ​you​ ​can​ ​write several​ ​weeks​ ​in​ ​advance​ ​if​ ​you​ ​prefer. Try​ ​to​ ​find​ ​a​ ​happy​ ​medium between​ ​keyword​ ​phrases​ ​that​ ​get​ ​a​ ​lot​ ​of​ ​searches​ ​and​ ​those​ ​phrases​ ​that have​ ​a​ ​ton​ ​of​ ​competition​ ​already​ ​on​ ​the​ ​first​ ​page​ ​of​ ​Google​ ​results. As​ ​mentioned​ ​in​ ​the​ ​beginning​ ​of​ ​this​ ​guide,​ ​high-quality​ ​images​ ​are​ ​vital. Make​ ​sure​ ​that​ ​you​ ​include​ ​images​ ​with​ ​your​ ​content,​ ​and​ ​that​ ​they​ ​are both​ ​high-quality​ ​and​ ​relevant​ ​to​ ​the​ ​text​ ​on​ ​the​ ​page. You​ ​can​ ​have​ ​less,​ ​and​ ​you​ ​can even​ ​have​ ​a​ ​little​ ​bit​ ​more,​ ​but​ ​use​ ​it​ ​as​ ​a​ ​general​ ​rule​ ​of​ ​thumb. Remember,​ ​too,​ ​varying​ ​paragraph​ ​lengths​ ​makes​ ​the​ ​reading​ ​more interesting​ ​than​ ​several​ ​paragraphs​ ​in​ ​a​ ​row​ ​all​ ​of​ ​the​ ​same​ ​length. ​With​ ​some​ ​types​ ​of​ ​content,​ ​you​ ​may​ ​want​ ​to include​ ​humor​ ​or​ ​light-hearted​ ​writing,​ ​and​ ​with​ ​others​ ​you​ ​want​ ​to​ ​avoid humor​ ​and​ ​take​ ​a​ ​more​ ​serious​ ​approach. ​The​ ​market​ ​research​ ​company​ ​BuzzSumo​ ​recently analyzed​ ​over​ ​100​ ​million​ ​articles​ ​to​ ​discover​ ​what​ ​gets​ ​shared,​ ​and​ ​the results​ ​include​ ​the​ ​post​ ​types​ ​listed​ ​below. For​ ​some​ ​reason,​ ​top​ ​10​ ​lists​ ​seem​ ​to​ ​do​ ​particularly​ ​well​ ​on​ ​social​ ​media. In​ ​fact,​ ​it​ ​is​ ​specifically​ ​the​ ​number​ ​10​ ​in​ ​top​ ​10​ ​lists​ ​that​ ​does​ ​well. Whatever​ ​the​ ​reason,​ ​research​ ​shows​ ​the​ ​top​ ​10 lists​ ​should​ ​be​ ​part​ ​of​ ​your​ ​viral​ ​blogging​ ​strategy. If​ ​you​ ​can “scoop”​ ​other​ ​news​ ​organizations​ ​and​ ​get​ ​your​ ​posts​ ​in​ ​front​ ​of​ ​people,​ ​the chances​ ​are​ ​very​ ​good​ ​that​ ​they​ ​will​ ​share​ ​it. You​ ​can​ ​also​ ​create​ ​controversy​ ​with​ ​blog​ ​posts​ ​and​ ​titles that​ ​are​ ​evergreen​ ​which​ ​will​ ​keep​ ​getting​ ​traffic​ ​for​ ​years​ ​to​ ​come. There​ ​are​ ​websites​ ​that​ ​dominate​ ​this​ ​market​ ​because​ ​they​ ​cover celebrity​ ​entertainment​ ​news​ ​exclusively.​ ​However,​ ​that​ ​doesn’t​ ​mean​ ​you should​ ​ignore​ ​this​ ​content​ ​type​ ​altogether. You​ ​can​ ​cover​ ​a​ ​celebrity​ ​and​ ​tie​ ​it​ ​in​ ​with​ ​your​ ​industry.​ ​As​ ​a​ ​hypothetical example,​ ​if​ ​you​ ​were​ ​in​ ​the​ ​business​ ​industry,​ ​you​ ​could​ ​talk​ ​about​ ​how Drake​ ​invested​ ​in​ ​a​ ​new​ ​company. You​ ​can​ ​always​ ​mix​ ​two​ ​of these​ ​types​ ​and​ ​get​ ​better​ ​results,​ ​but​ ​politics,​ ​combined​ ​with​ ​controversy in​ ​particular,​ ​seem​ ​to​ ​be​ ​a​ ​potent​ ​combination​ ​for​ ​sharing. The​ ​great​ ​thing​ ​about​ ​this​ ​particular​ ​topic​ ​is​ ​that​ ​you​ ​can​ ​share​ ​an​ ​opinion, if​ ​you​ ​like,​ ​without​ ​any​ ​real​ ​factual​ ​basis​ ​–​ ​unless,​ ​of​ ​course,​ ​you​ ​are quoting​ ​facts​ ​to​ ​back​ ​up​ ​your​ ​opinions. Simply​ ​publishing​ ​this​ ​content​ ​isn’t​ ​going​ ​to​ ​be​ ​enough.​ ​You​ ​need​ ​to promote​ ​your​ ​content​ ​on​ ​social​ ​media​ ​–​ ​but​ ​not​ ​just​ ​the​ ​standards​ ​like Facebook,​ ​Twitter,​ ​and​ ​Pinterest. You​ ​also​ ​want​ ​to​ ​use​ ​social​ ​bookmarking​ ​sites​ ​like​ ​Digg,​ ​Reddit,​ ​and StumbleUpon.​ ​These​ ​sites​ ​will​ ​get​ ​you​ ​in​ ​front​ ​of​ ​readers​ ​who​ ​will​ ​hopefully take​ ​your​ ​content​ ​and​ ​run​ ​with​ ​it. ​YouTube​ ​sees​ ​around​ ​1 billion​ ​users​ ​every​ ​single​ ​month,​ ​and​ ​so​ ​posting​ ​a​ ​video​ ​on​ ​YouTube almost​ ​guarantees​ ​that​ ​it​ ​will​ ​be​ ​seen​ ​as​ ​long​ ​as​ ​you​ ​use​ ​the​ ​right keywords. In​ ​this​ ​article,​ ​we’ll​ ​explore​ ​the​ ​process​ ​of​ ​making​ ​a​ ​video​ ​–​ ​and​ ​making​ ​it professional​ ​enough​ ​to​ ​attract​ ​traffic​ ​to​ ​your​ ​site​ ​–​ ​as​ ​well​ ​as​ ​choosing keywords​ ​and​ ​getting​ ​it​ ​published​ ​on​ ​YouTube. You​ ​want​ ​them​ ​to​ ​read​ ​the​ ​description and​ ​look​ ​for​ ​a​ ​link,​ ​and​ ​then​ ​leave​ ​the​ ​YouTube​ ​site​ ​to​ ​come​ ​to​ ​your​ ​own website. They​ ​are​ ​ready​ ​made​ ​to​ ​send​ ​traffic​ ​to​ ​your​ ​website,​ ​because if​ ​you​ ​give​ ​them​ ​almost​ ​all​ ​of​ ​the​ ​information​ ​that​ ​they​ ​need​ ​with​ ​the​ ​video and​ ​then​ ​promise​ ​them​ ​the​ ​rest​ ​if​ ​they​ ​go​ ​to​ ​your​ ​website,​ ​this​ ​will​ ​drive traffic. But​ ​if​ ​you​ ​can​ ​make​ ​a​ ​funny​ ​or awesome​ ​video​ ​that​ ​evokes​ ​emotion​ ​and​ ​that​ ​features​ ​your​ ​business​ ​as part​ ​of​ ​it,​ ​then​ ​you’ll​ ​be​ ​able​ ​to​ ​get​ ​YouTube​ ​views​ ​and​ ​traffic​ ​to​ ​your website​ ​as​ ​well​ ​as​ ​shares. If​ ​you​ ​have​ ​to​ ​go​ ​DIY,​ ​making​ ​a​ ​video​ ​isn’t too​ ​difficult​ ​to​ ​do​ ​on​ ​your​ ​own​ ​anyway,​ ​and​ ​you​ ​might​ ​find​ ​that​ ​you​ ​have​ ​a talent​ ​at​ ​it. The​ ​next​ ​step​ ​we​ ​are​ ​going​ ​to​ ​take​ ​will​ ​be​ ​getting​ ​the​ ​keywords​ ​that​ ​you​ ​will use​ ​in​ ​the​ ​title​ ​and​ ​the​ ​tag​ ​sections​ ​of​ ​your​ ​YouTube​ ​video. ​But​ ​there​ ​is​ ​no way​ ​that​ ​you​ ​can​ ​compete​ ​for​ ​these​ ​search​ ​terms​ ​on​ ​YouTube​ ​without many​ ​years​ ​of​ ​hard​ ​work,​ ​so​ ​what​ ​you’re​ ​looking​ ​for​ ​are​ ​search​ ​terms​ ​that only​ ​get​ ​a​ ​few​ ​searches​ ​(but​ ​still​ ​get​ ​some),​ ​and​ ​that​ ​are​ ​much​ ​easier​ ​to compete​ ​for​ ​on​ ​YouTube. ​Now,​ ​that isn’t​ ​going​ ​to​ ​be​ ​the​ ​search​ ​traffic​ ​that​ ​the​ ​term​ ​gets​ ​on​ ​YouTube,​ ​but​ ​it​ ​will give​ ​you​ ​an​ ​idea​ ​as​ ​to​ ​what​ ​is​ ​popular​ ​when​ ​it​ ​comes​ ​to​ ​searching​ ​and what​ ​is​ ​not. One​ ​trick​ ​is​ ​to​ ​go​ ​for​ ​“low-hanging​ ​fruit.”​ ​This​ ​means​ ​intentionally​ ​going​ ​for keywords​ ​for​ ​your​ ​videos​ ​to​ ​get​ ​a​ ​very​ ​specific​ ​group​ ​of​ ​people​ ​to​ ​take action.​ ​Typically​ ​the​ ​keywords​ ​are​ ​longer​ ​tail. If​ ​you​ ​were​ ​to​ ​go​ ​for a​ ​broader​ ​term​ ​such​ ​as​ ​“weight​ ​loss,”​ ​it​ ​would​ ​be​ ​near​ ​impossible​ ​to​ ​rank these​ ​days. You​ ​won’t​ ​get​ ​as​ ​many​ ​people​ ​searching​ ​for​ ​longer​ ​tail​ ​keywords,​ ​but​ ​at least​ ​you’ll​ ​gain​ ​higher​ ​quality​ ​viewers.​ ​​​This​ ​is​ ​where​ ​you​ ​can​ ​“rinse​ ​and repeat”​ ​this​ ​method. Finally,​ ​your​ ​last​ ​step​ ​would​ ​be​ ​publishing​ ​the​ ​video.​ ​There​ ​are​ ​many different​ ​ways​ ​that​ ​you​ ​can​ ​do​ ​this.​ ​​ ​One​ ​of​ ​the​ ​easiest​ ​is​ ​to​ ​publish​ ​it directly​ ​from​ ​your​ ​video​ ​editing​ ​program. ​You’ll need​ ​to​ ​have​ ​exported​ ​it​ ​from​ ​your​ ​video​ ​editing​ ​program​ ​or​ ​uploaded​ ​it from​ ​your​ ​camera​ ​if​ ​you​ ​didn’t​ ​do​ ​any​ ​editing,​ ​and​ ​it​ ​will​ ​need​ ​to​ ​fit​ ​certain specifications​ ​like​ ​having​ ​the​ ​right​ ​file​ ​format,​ ​following​ ​YouTube’s​ ​size guidelines​ ​and​ ​other​ ​considerations. ​Once​ ​you​ ​have​ ​your video​ ​uploaded,​ ​you​ ​can​ ​create​ ​the​ ​title​ ​and​ ​set​ ​your​ ​tags.​ ​Then​ ​you​ ​can​ ​go ahead​ ​and​ ​publish​ ​it.​ ​It​ ​will​ ​be​ ​on​ ​YouTube​ ​and​ ​driving​ ​traffic​ ​to​ ​your website​ ​shortly. In​ ​fact, you​ ​may​ ​already​ ​be​ ​a​ ​member​ ​of​ ​some​ ​of​ ​these​ ​forums​ ​and​ ​up​ ​until​ ​now have​ ​just​ ​participated​ ​in​ ​the​ ​discussions,​ ​asked​ ​and​ ​answered​ ​questions,​ ​or simply​ ​kept​ ​up​ ​with​ ​what​ ​other​ ​people​ ​are​ ​saying​ ​about​ ​your​ ​industry. ​This​ ​is​ ​done​ ​through your​ ​forum​ ​signature.​ ​Your​ ​signature​ ​may​ ​be​ ​composed​ ​of​ ​text,​ ​images, HTML,​ ​and​ ​links​ ​that​ ​lead​ ​directly​ ​back​ ​to​ ​your​ ​website. ​If​ ​the​ ​forum​ ​does​ ​not​ ​allow​ ​links​ ​in your​ ​signature​ ​or​ ​renders​ ​them​ ​so​ ​small​ ​as​ ​to​ ​not​ ​be​ ​useful,​ ​avoid​ ​posting on​ ​that​ ​forum​ ​and​ ​go​ ​somewhere​ ​else. ​You do​ ​want​ ​a​ ​visible​ ​and​ ​easy-to-follow​ ​link,​ ​though.​ ​More​ ​importantly​ ​than that,​ ​you​ ​want​ ​to​ ​give​ ​people​ ​a​ ​reason​ ​to​ ​follow​ ​the​ ​link. Just​ ​make​ ​sure​ ​that​ ​you​ ​not only​ ​put​ ​a​ ​link​ ​to​ ​your​ ​website,​ ​but​ ​that​ ​you​ ​also​ ​give​ ​them​ ​a​ ​reason​ ​to​ ​click on​ ​that​ ​link. You​ ​never​ ​know who​ ​is​ ​going​ ​to​ ​see​ ​it,​ ​so​ ​spend​ ​as​ ​much​ ​time​ ​as​ ​you’re​ ​able​ ​–​ ​without giving​ ​the​ ​impression​ ​that​ ​you​ ​are​ ​spamming​ ​the​ ​forum​ ​–​ ​to​ ​answer questions,​ ​give​ ​advice,​ ​and​ ​provide​ ​useful​ ​and​ ​valuable​ ​content. ​But​ ​if​ ​you​ ​go​ ​out​ ​and post​ ​in​ ​other​ ​parts​ ​of​ ​the​ ​forum,​ ​you​ ​are​ ​likely​ ​going​ ​to​ ​be​ ​showing​ ​your signature​ ​to​ ​a​ ​huge,​ ​new​ ​group​ ​of​ ​people. ​That​ ​means​ ​that​ ​your​ ​particular​ ​post​ ​may​ ​be​ ​a​ ​long​ ​way​ ​back, and​ ​they​ ​aren’t​ ​even​ ​going​ ​to​ ​see​ ​it,​ ​but​ ​if​ ​you​ ​reply​ ​to​ ​other​ ​posts​ ​–​ ​and remember​ ​you​ ​need​ ​to​ ​say​ ​something​ ​valuable​ ​not​ ​just​ ​reply​ ​to​ ​be​ ​replying –​ ​then​ ​whoever​ ​visits​ ​the​ ​forum​ ​will​ ​always​ ​be​ ​able​ ​to​ ​see​ ​your​ ​signature​ ​in one​ ​of​ ​your​ ​replies. ​However,​ ​relying​ ​on your​ ​bio​ ​to​ ​send​ ​traffic​ ​to​ ​your​ ​website​ ​is​ ​rather​ ​iffy,​ ​and​ ​you​ ​have​ ​to​ ​make doubly​ ​sure​ ​that​ ​you​ ​write​ ​informative,​ ​valuable​ ​posts​ ​that​ ​will​ ​make​ ​people want​ ​to​ ​find​ ​out​ ​who​ ​the​ ​author​ ​is​ ​and​ ​check​ ​you​ ​out​ ​elsewhere​ ​on​ ​the​ ​web. It​ ​is​ ​a​ ​much​ ​better​ ​idea​ ​to​ ​find​ ​a​ ​forum​ ​that​ ​offers​ ​a​ ​signature,​ ​but​ ​if​ ​you​ ​do have​ ​a​ ​particular​ ​forum​ ​that​ ​is​ ​very​ ​active​ ​or​ ​is​ ​laser​ ​targeted​ ​at​ ​your audience,​ ​you​ ​might​ ​still​ ​want​ ​to​ ​participate​ ​once​ ​in​ ​awhile​ ​to​ ​have​ ​access to​ ​those​ ​users. There​ ​may​ ​be​ ​other​ ​places​ ​online​ ​where​ ​you​ ​regularly post​ ​or​ ​participate​ ​that​ ​allow​ ​you​ ​to​ ​have​ ​a​ ​bio​ ​or​ ​signature​ ​as​ ​well,​ ​that you’re​ ​not​ ​currently​ ​taking​ ​advantage​ ​of. ​You​ ​might​ ​be wondering​ ​why​ ​a​ ​competitor​ ​of​ ​yours​ ​–​ ​or​ ​even​ ​a​ ​related​ ​site​ ​–​ ​would​ ​be willing​ ​to​ ​put​ ​a​ ​link​ ​to​ ​your​ ​website​ ​on​ ​theirs. There​ ​are​ ​also​ ​a​ ​few​ ​other​ ​things​ ​that​ ​you​ ​have to​ ​keep​ ​in​ ​mind​ ​in​ ​order​ ​to​ ​use​ ​this​ ​method​ ​effectively.​ ​​ ​Just​ ​note​ ​that​ ​you may​ ​have​ ​to​ ​skip​ ​this​ ​technique​ ​altogether​ ​if​ ​your​ ​site​ ​is​ ​brand new. ​You​ ​need​ ​to​ ​make​ ​your​ ​website​ ​look​ ​as​ ​good​ ​as​ ​possible, as​ ​mentioned​ ​in​ ​the​ ​very​ ​first​ ​chapter,​ ​in​ ​order​ ​to​ ​make​ ​this​ ​work,​ ​because you​ ​are​ ​going​ ​to​ ​be​ ​trading​ ​links​ ​with​ ​other​ ​websites,​ ​and​ ​they​ ​aren’t​ ​going to​ ​want​ ​to​ ​have​ ​their​ ​link​ ​posted​ ​on​ ​a​ ​website​ ​that​ ​doesn’t​ ​look professional. Most​ ​of​ ​the​ ​time,​ ​links cancel​ ​each​ ​other​ ​out​ ​anyway,​ ​but​ ​this​ ​is​ ​only​ ​a​ ​concern​ ​if​ ​the​ ​person linking​ ​to​ ​your​ ​website​ ​is​ ​doing​ ​it​ ​to​ ​get​ ​a​ ​backlink ​to​ ​raise​ ​their​ ​rankings​ ​in the​ ​search​ ​engines. ​If​ ​you​ ​put​ ​a​ ​link​ ​to​ ​their​ ​website​ ​on​ ​your​ ​thank​ ​you​ ​page, people​ ​will​ ​go​ ​to​ ​their​ ​website​ ​only​ ​when​ ​they​ ​have​ ​already​ ​finished​ ​their purchase​ ​or​ ​email​ ​opt-in​ ​from​ ​you​ ​and​ ​conversely,​ ​you​ ​will​ ​only​ ​get​ ​traffic from​ ​the​ ​other​ ​website​ ​when​ ​visitors​ ​to​ ​that​ ​site​ ​reach​ ​the​ ​thank​ ​you​ ​page. If​ ​you’re​ ​going​ ​to​ ​use​ ​this​ ​technique,​ ​your​ ​first​ ​task​ ​is​ ​finding​ ​some​ ​similar websites​ ​that​ ​have​ ​thank​ ​you​ ​pages​ ​that​ ​you​ ​might​ ​be​ ​able​ ​to​ ​approach. Other​ ​Internet​ ​marketers​ ​and website​ ​owners​ ​are​ ​always​ ​looking​ ​for​ ​ways​ ​to​ ​generate​ ​more​ ​traffic,​ ​and​ ​if your​ ​method​ ​brings​ ​even​ ​a​ ​few​ ​more​ ​people​ ​to​ ​their​ ​website​ ​and​ ​doesn’t cost​ ​them​ ​anything​ ​or​ ​reduce​ ​their​ ​existing​ ​website​ ​traffic​ ​in​ ​any​ ​way,​ ​they are​ ​sure​ ​to​ ​be​ ​on​ ​board​ ​with​ ​it. ​The​ ​customer​ ​will​ ​have already​ ​purchased​ ​an​ ​item​ ​from​ ​your​ ​partner,​ ​and​ ​so​ ​he​ ​or​ ​she​ ​will​ ​have nothing​ ​to​ ​lose​ ​by​ ​sending​ ​traffic​ ​your​ ​way. Cross-promotion​ ​is​ ​one​ ​of​ ​the​ ​most​ ​effective Internet​ ​marketing​ ​methods.​ ​Below​ ​is​ ​an​ ​example​ ​email​ ​that​ ​you​ ​can​ ​send. Please​ ​let​ ​me​ ​know​ ​if​ ​you​ ​would​ ​like​ ​to proceed​ ​and​ ​provide​ ​me​ ​with​ ​a​ ​banner​ ​or​ ​link​ ​so​ ​that​ ​we​ ​can​ ​get​ ​the process​ ​started. ​This​ ​is​ ​a​ ​great​ ​way​ ​to​ ​get​ ​traffic​ ​to​ ​your​ ​website​ ​because you’re​ ​able​ ​to​ ​offer​ ​your​ ​podcast​ ​free-of-charge​ ​on​ ​websites​ ​like​ ​the​ ​Apple iTunes​ ​Store​ ​where​ ​you​ ​could​ ​potentially​ ​get​ ​thousands​ ​of​ ​downloads​ ​per podcast. Some​ ​people listen​ ​to​ ​podcasts​ ​while​ ​they’re​ ​driving​ ​in​ ​their​ ​car.​ ​Some​ ​people​ ​enjoy listening​ ​to​ ​podcasts​ ​while​ ​they’re​ ​doing​ ​something​ ​else​ ​on​ ​the​ ​Internet such​ ​as​ ​a​ ​graphic​ ​designer​ ​working​ ​in​ ​Photoshop​ ​at​ ​the​ ​same​ ​time​ ​that​ ​he or​ ​she​ ​is​ ​listening. If​ ​you​ ​are​ ​a​ ​comic​ ​book​ ​collector, you’d​ ​love​ ​to​ ​listen​ ​to​ ​a​ ​podcast​ ​on​ ​comic​ ​book​ ​collecting.​ ​If​ ​you​ ​are​ ​a woodworking​ ​enthusiast,​ ​a​ ​woodworking​ ​podcast​ ​would​ ​be​ ​your​ ​cup​ ​of​ ​tea. 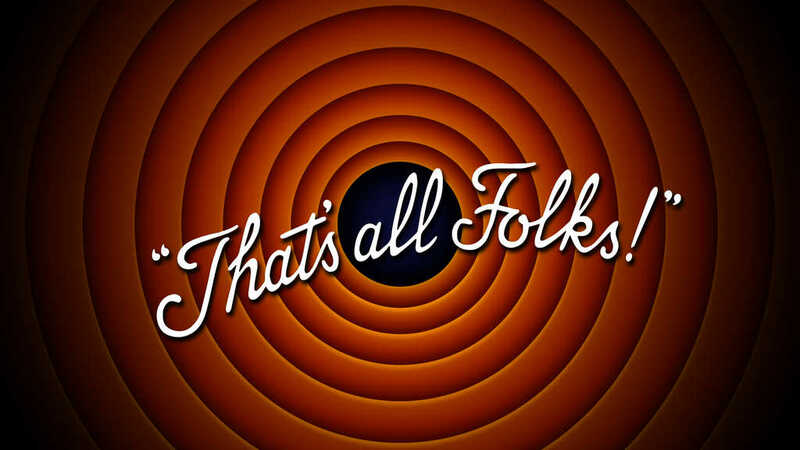 If​ ​your​ ​podcast​ ​is​ ​unprofessional​ ​or​ ​boring,​ ​they​ ​may​ ​listen​ ​for​ ​a few​ ​minutes,​ ​but​ ​they​ ​will​ ​soon​ ​move​ ​on​ ​to​ ​something​ ​else​ ​and​ ​never​ ​visit your​ ​website. If​ ​you​ ​sit​ ​in​ ​front​ ​of​ ​your​ ​microphone​ ​and​ ​simply​ ​discuss​ ​the topic​ ​in​ ​a​ ​monotone,​ ​without​ ​any​ ​entertainment​ ​value​ ​at​ ​all,​ ​people​ ​are​ ​not going​ ​to​ ​listen​ ​to​ ​your​ ​podcasts. Speaking​ ​of​ ​microphones,​ ​you​ ​need​ ​to have​ ​a​ ​great​ ​one​ ​for​ ​podcasting. Luckily,​ ​there​ ​are​ ​some​ ​out​ ​there​ ​that are​ ​extremely​ ​high​ ​quality​ ​for​ ​a​ ​very low​ ​price. The​ ​Audio-Technica​ ​brand​ ​makes good​ ​microphones​ ​for​ ​around​ ​$50-$75. Also,​ ​the​ ​Blue​ ​Yeti​ ​is​ ​almost​ ​a​ ​studio quality​ ​microphone​ ​for​ ​about​ ​$100. You’ll​ ​need​ ​to​ ​do​ ​your​ ​research​ ​and​ ​decide​ ​on​ ​your​ ​particular​ ​professional microphone,​ ​but​ ​make​ ​sure​ ​that​ ​it​ ​is​ ​clear​ ​without​ ​any​ ​fuzziness​ ​or distortion. ​You​ ​need​ ​to​ ​make​ ​sure​ ​that​ ​you​ ​can​ ​do​ ​your​ ​podcast somewhere​ ​away​ ​from​ ​all​ ​the​ ​noise​ ​so​ ​that​ ​it​ ​sounds​ ​as​ ​professional​ ​as​ ​a radio​ ​broadcast. 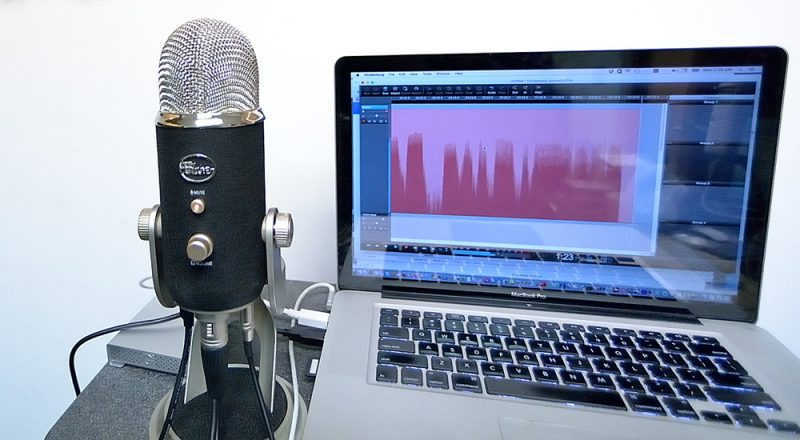 Find​ ​someone​ ​who​ ​has​ ​the​ ​same​ ​microphone​ ​that​ ​you​ ​do and​ ​then​ ​each​ ​of​ ​you​ ​record​ ​your​ ​part​ ​of​ ​the​ ​podcast​ ​separately​ ​on​ ​the same​ ​recording​ ​software​ ​–​ ​Audacity​ ​is​ ​a​ ​good,​ ​free​ ​solution​ ​–​ ​while communicating​ ​with​ ​each​ ​other​ ​via​ ​Skype​ ​or​ ​another​ ​program​ ​that​ ​allows you​ ​to​ ​talk​ ​to​ ​each​ ​other​ ​instantly. Then,​ ​one​ ​of​ ​you​ ​can​ ​receive​ ​the​ ​audio​ ​file​ ​from​ ​the​ ​other​ ​one,​ ​line​ ​it​ ​up with​ ​the​ ​audio​ ​file​ ​that​ ​he​ ​or​ ​she​ ​has,​ ​and​ ​then​ ​export​ ​it​ ​as​ ​one​ ​new​ ​audio file​ ​which​ ​will​ ​have​ ​both​ ​of​ ​your​ ​voices​ ​recorded​ ​with​ ​good​ ​microphones. That​ ​way,​ ​it​ ​will​ ​seem​ ​like​ ​both​ ​of​ ​you​ ​were​ ​in​ ​the​ ​same​ ​studio​ ​recording​ ​at the​ ​same​ ​time. ​If​ ​not,​ ​you​ ​can​ ​always​ ​spend​ ​five bucks​ ​and​ ​get​ ​one​ ​from​ ​Fiverr,​ ​but​ ​that​ ​could​ ​come​ ​later​ ​if​ ​you​ ​like.​ ​This​ ​will give​ ​your​ ​podcast​ ​that​ ​polished​ ​feel​ ​that​ ​will​ ​make​ ​people​ ​want​ ​to​ ​listen again​ ​and​ ​again. Once​ ​you’ve​ ​made​ ​your​ ​recordings,​ ​where​ ​do​ ​you​ ​store​ ​the​ ​audio​ ​files? You​ ​can​ ​use​ ​paid​ ​services​ ​such​ ​as​ ​Libsyn​ ​which​ ​starts​ ​at​ ​$5.00​ ​per​ ​month, but​ ​that​ ​is​ ​the​ ​paid​ ​route​ ​and​ ​would​ ​defeat​ ​the​ ​purpose​ ​of​ ​the​ ​zero-cost method. Instead,​ ​you​ ​can​ ​use​ ​free​ ​storage​ ​services​ ​such​ ​as​ ​Google​ ​Drive​ ​to​ ​store your​ ​recordings.​ ​What​ ​you’ll​ ​be​ ​doing​ ​is​ ​creating​ ​a​ ​new​ ​folder​ ​in​ ​your Google​ ​Drive​ ​dedicated​ ​to​ ​your​ ​podcast​ ​audio​ ​files. The​ ​last​ ​thing​ ​that​ ​you’ll​ ​need​ ​to​ ​do​ ​is​ ​to​ ​distribute​ ​your​ ​podcast.​ ​You’re going​ ​to​ ​need​ ​to​ ​post​ ​it​ ​somewhere​ ​where​ ​people​ ​can​ ​download​ ​or​ ​listen​ ​to it​ ​online​ ​or​ ​via​ ​their​ ​mobile​ ​device. The​ ​best​ ​place​ ​to​ ​distribute​ ​your​ ​podcast​ ​is​ ​through​ ​the​ ​iTunes​ ​store.​ ​With millions​ ​of​ ​people​ ​on,​ ​you​ ​can​ ​grab​ ​your​ ​share​ ​of​ ​the​ ​podcasting​ ​audience. ​You​ ​can​ ​find​ ​all​ ​kinds​ ​of​ ​places​ ​online​ ​where​ ​you​ ​can​ ​post your​ ​podcast​ ​free-of-charge​ ​that​ ​will​ ​get​ ​traffic​ ​to​ ​your​ ​site​ ​because​ ​you have​ ​people​ ​listening​ ​to​ ​it. Some​ ​of these​ ​places​ ​include:​ ​Stitcher​ ​(https://www.stitcher.com​/),​ ​SoundCloud (​https://soundcloud.com/​)​ ​and​ ​many​ ​more​ ​podcasting​ ​directories​ ​that​ ​may allow​ ​you​ ​to​ ​submit​ ​your​ ​podcast​ ​for​ ​free. However,​ ​if you​ ​are​ ​a​ ​terrible​ ​writer,​ ​it​ ​doesn’t​ ​mean​ ​that​ ​you​ ​should​ ​discard​ ​the​ ​idea completely,​ ​because​ ​it​ ​can​ ​be​ ​one​ ​of​ ​the​ ​most​ ​valuable​ ​ways​ ​that​ ​you​ ​can get​ ​traffic. So,​ ​why​ ​would​ ​people​ ​allow​ ​you​ ​to​ ​post​ ​on​ ​their​ ​website​ ​or​ ​blog​ ​anyway? So,​ ​if​ ​you’re​ ​going​ ​to​ ​use​ ​this​ ​method, you​ ​definitely​ ​have​ ​to​ ​make​ ​sure​ ​that​ ​whatever​ ​you’re​ ​providing​ ​is​ ​valuable content. This​ ​is​ ​great​ ​for​ ​you​ ​because all​ ​it​ ​cost​ ​you​ ​to​ ​get​ ​this​ ​traffic​ ​was​ ​the​ ​couple​ ​hours​ ​it​ ​took​ ​to​ ​write​ ​a​ ​good blog​ ​post. ​For​ ​some​ ​blogs, you​ ​can​ ​write​ ​in​ ​your​ ​own​ ​style,​ ​and​ ​that​ ​is​ ​okay​ ​with​ ​them.​ ​In​ ​fact,​ ​it​ ​is​ ​the way​ ​that​ ​some​ ​people​ ​prefer​ ​to​ ​have​ ​guest​ ​posters​ ​write. ​When​ ​you​ ​communicate​ ​with​ ​those about​ ​guest​ ​posting​ ​on​ ​their​ ​blog,​ ​you’ll​ ​need​ ​to​ ​ask​ ​them​ ​which​ ​method they​ ​prefer​ ​and​ ​for​ ​any​ ​writers’​ ​guidelines​ ​that​ ​they​ ​want​ ​you​ ​to​ ​follow. You​ ​want​ ​to​ ​communicate​ ​with​ ​the​ ​same​ ​type​ ​of​ ​audience​ ​that would​ ​want​ ​to​ ​come​ ​to​ ​your​ ​website​ ​in​ ​the​ ​first​ ​place,​ ​and​ ​that​ ​means posting​ ​on​ ​blogs​ ​that​ ​are​ ​similar​ ​to​ ​the​ ​products​ ​or​ ​services​ ​that​ ​you​ ​sell. Make​ ​sure​ ​that​ ​you​ ​set​ ​it​ ​aside​ ​for​ ​a​ ​few days,​ ​and​ ​then​ ​come​ ​back​ ​to​ ​revise​ ​it​ ​so​ ​that​ ​you​ ​can​ ​see​ ​any​ ​mistakes. Better​ ​yet,​ ​have​ ​a​ ​friend​ ​or​ ​relative​ ​who​ ​is​ ​a​ ​regular​ ​reader​ ​look​ ​it​ ​over​ ​for you​ ​and​ ​point​ ​out​ ​any​ ​mistakes. You​ ​also​ ​need​ ​to​ ​look​ ​out​ ​for​ ​any​ ​typos​ ​or​ ​grammar​ ​mistakes​ ​as​ ​this​ ​will make​ ​you​ ​look​ ​amateurish​ ​and​ ​no​ ​one​ ​will​ ​follow​ ​the​ ​link​ ​to​ ​your​ ​website. Make​ ​it​ ​the​ ​best​ ​post​ ​that​ ​you​ ​possibly​ ​can​ ​and​ ​as​ ​useful​ ​and​ ​valuable​ ​to the​ ​readers​ ​as​ ​you​ ​can,​ ​and​ ​you​ ​might​ ​get​ ​invited​ ​back​ ​to​ ​guest​ ​post​ ​over and​ ​over​ ​again,​ ​each​ ​time​ ​with​ ​a​ ​link​ ​to​ ​your​ ​website. ​Below​ ​is​ ​an​ ​example​ ​email​ ​that​ ​you​ ​can​ ​use​ ​to​ ​ask​ ​someone​ ​to​ ​give you​ ​a​ ​guest​ ​posting​ ​spot​ ​on​ ​their​ ​blog. I​ ​can​ ​assure​ ​you​ ​that​ ​it​ ​will​ ​be very​ ​high​ ​quality​ ​content​ ​from​ ​an​ ​expert​ ​in​ ​the​ ​industry.​ ​Let​ ​me​ ​know​ ​if you’re​ ​interested. In​ ​fact,​ ​some​ ​people​ ​make​ ​a​ ​living​ ​just​ ​holding​ ​webinars​ ​on​ ​the internet​ ​on​ ​whatever​ ​industry​ ​or​ ​topic​ ​they​ ​are​ ​an​ ​expert​ ​in. ​There​ ​are​ ​hundreds​ ​and​ ​hundreds​ ​of books​ ​published​ ​on​ ​just​ ​Photoshop​ ​alone​ ​each​ ​year. ​So​ ​the​ ​first​ ​step​ ​is​ ​to​ ​choose​ ​something specific​ ​that​ ​you​ ​can​ ​share​ ​with​ ​people​ ​that​ ​is​ ​related​ ​to​ ​your​ ​industry​ ​or website. ​Of​ ​course,​ ​that​ ​all​ ​depends​ ​on​ ​your​ ​teaching style,​ ​but​ ​remember,​ ​your​ ​goal​ ​is​ ​to​ ​get​ ​them​ ​to​ ​look​ ​you​ ​up​ ​afterward​ ​since what​ ​you​ ​taught​ ​them​ ​was​ ​valuable​ ​and​ ​memorable. 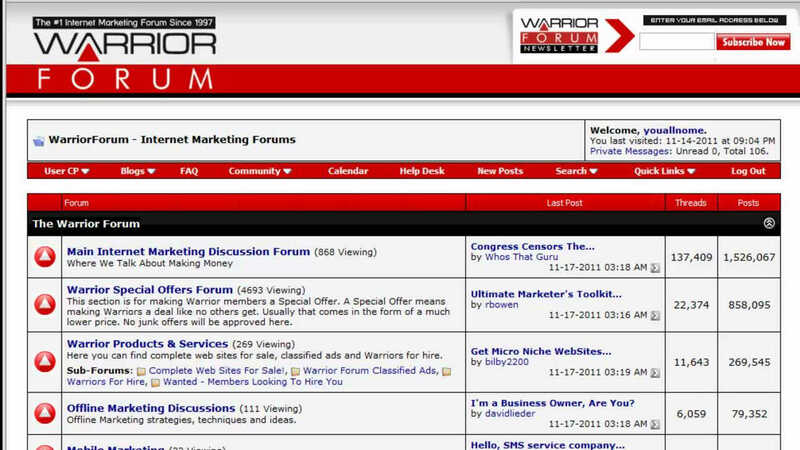 ​You​ ​can​ ​advertise​ ​your​ ​free​ ​webinar​ ​on many​ ​of​ ​the​ ​same​ ​places​ ​that​ ​are​ ​outlined​ ​in​ ​this​ ​guide ​–​ ​like​ ​in​ ​forums,​ ​for example. You simply​ ​have​ ​your​ ​webcam​ ​and​ ​your​ ​microphone​ ​in​ ​order​ ​to​ ​communicate with​ ​the​ ​people​ ​attending​ ​your​ ​Google​ ​Hangout. ​One​ ​option​ ​is Meeting​ ​Burner​ ​(https://www.meetingburner.com/​).​ ​There’s​ ​a​ ​free​ ​option​ ​to hold​ ​a​ ​webinar​ ​with​ ​up​ ​to​ ​10​ ​attendees. The​ ​difference​ ​is​ ​that​ ​it’s​ ​a​ ​lot easier​ ​to​ ​get​ ​people​ ​to​ ​help​ ​you​ ​promote​ ​a​ ​free​ ​webinar​ ​on​ ​something​ ​that they’re​ ​interested​ ​in​ ​or​ ​something​ ​that​ ​they​ ​work​ ​in,​ ​than​ ​it​ ​is​ ​to​ ​get​ ​people to​ ​send​ ​traffic​ ​to​ ​your​ ​website​ ​for​ ​your​ ​own​ ​profit​ ​or​ ​gain. This​ ​is especially​ ​true​ ​if​ ​they​ ​know​ ​that​ ​you​ ​have​ ​something​ ​valuable​ ​to​ ​offer. If​ ​you​ ​can​ ​let​ ​people​ ​know​ ​that they’re​ ​going​ ​to​ ​get​ ​something​ ​valuable​ ​by​ ​attending,​ ​and​ ​that​ ​you​ ​are​ ​an expert​ ​in​ ​the​ ​field​ ​that​ ​they​ ​should​ ​listen​ ​to,​ ​you​ ​are​ ​definitely​ ​going​ ​to​ ​get twice​ ​as​ ​many​ ​people​ ​signing​ ​up. Don’t​ ​forget​ ​to​ ​promote​ ​the​ ​fact​ ​that​ ​it’s free. ​You can​ ​find​ ​people​ ​within​ ​your​ ​industry​ ​by​ ​looking​ ​at​ ​some​ ​of​ ​the​ ​top​ ​websites in​ ​your​ ​particular​ ​niche​ ​and​ ​then​ ​contacting​ ​them​ ​using​ ​the​ ​information​ ​or support​ ​emails. Don’t​ ​forget,​ ​you​ ​can​ ​also​ ​promote​ ​yourself​ ​on​ ​these forums​ ​where​ ​you​ ​are​ ​active. ​People​ ​build​ ​communities​ ​around​ ​even​ ​the​ ​most​ ​eclectic​ ​of interests,​ ​and​ ​so​ ​if​ ​you​ ​look​ ​long​ ​enough,​ ​you​ ​will​ ​find​ ​something​ ​in​ ​your industry​ ​on​ ​every​ ​social​ ​media​ ​website​ ​where​ ​you​ ​have​ ​an​ ​account. …​but​ ​they​ ​will​ ​also​ ​send​ ​people​ ​over to​ ​your​ ​website​ ​if​ ​they​ ​consider​ ​you​ ​an​ ​expert​ ​and​ ​content​ ​on​ ​your​ ​website or​ ​products​ ​that​ ​you​ ​sell​ ​could​ ​solve​ ​a​ ​problem​ ​for​ ​them. In​ ​fact,​ ​since​ ​your​ ​goal​ ​is​ ​to​ ​be​ ​looked​ ​at as​ ​an​ ​expert​ ​in​ ​this​ ​industry​ ​so​ ​that​ ​people​ ​want​ ​to​ ​come​ ​to​ ​your​ ​website, starting​ ​a​ ​Facebook​ ​group​ ​or​ ​group​ ​on​ ​some​ ​other​ ​social​ ​media​ ​platform could​ ​be​ ​one​ ​of​ ​the​ ​best​ ​things​ ​that​ ​you​ ​can​ ​do. 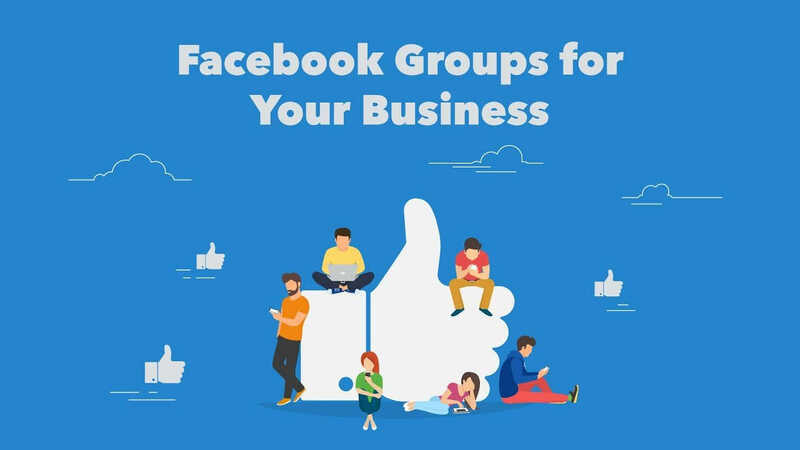 You​ ​may​ ​find​ ​that​ ​once​ ​you​ ​create​ ​the​ ​group​ ​and​ ​post​ ​about​ ​it​ ​to​ ​people who​ ​might​ ​be​ ​interested​ ​in​ ​it,​ ​that​ ​you’ll​ ​soon​ ​have​ ​a​ ​sizable​ ​following​ ​and quite​ ​a​ ​bit​ ​of​ ​traffic​ ​coming​ ​to​ ​your​ ​site. For​ ​one​ ​thing,​ ​you​ ​will​ ​have​ ​the​ ​visibility​ ​that comes​ ​with​ ​being​ ​a​ ​member​ ​and​ ​having​ ​your​ ​website​ ​information​ ​on​ ​your bio​ ​or​ ​anyplace​ ​within​ ​group​ ​posts​ ​where​ ​they​ ​allow​ ​you​ ​to​ ​place​ ​a​ ​link​ ​to your​ ​website. If​ ​you​ ​can​ ​answer​ ​questions​ ​about​ ​the​ ​industry​ ​and​ ​give​ ​people​ ​good advice,​ ​you​ ​will​ ​quickly​ ​build​ ​up​ ​a​ ​reputation​ ​as​ ​being​ ​an​ ​expert​ ​in​ ​the​ ​field. This​ ​will​ ​make​ ​even​ ​more​ ​people​ ​want​ ​to​ ​ask​ ​you​ ​questions​ ​and​ ​get​ ​advice from​ ​you.​ ​It​ ​will​ ​entice​ ​people​ ​to​ ​check​ ​you​ ​out​ ​outside​ ​of​ ​the​ ​group​ ​setting, which​ ​means​ ​they​ ​will​ ​be​ ​going​ ​to​ ​your​ ​website. Building​ ​a​ ​reputation​ ​as​ ​an​ ​expert​ ​in​ ​that​ ​industry​ ​doesn’t​ ​just​ ​apply​ ​to​ ​the Facebook​ ​group​ ​or​ ​whatever​ ​social​ ​media​ ​group​ ​you​ ​are​ ​part​ ​of,​ ​though. ​This​ ​means​ ​that​ ​you​ ​will​ ​have​ ​an​ ​easier time​ ​getting​ ​a​ ​foot​ ​in​ ​the​ ​door​ ​at​ ​other​ ​endeavors​ ​that​ ​you​ ​are​ ​working​ ​on as​ ​an​ ​expert​ ​in​ ​that​ ​industry. In​ ​fact,​ ​they​ ​will​ ​be​ ​happy​ ​to​ ​have​ ​your​ ​expertise​ ​on​ ​their blog​ ​if​ ​they​ ​consider​ ​you​ ​a​ ​leader​ ​or​ ​a​ ​knowledgeable​ ​person​ ​within​ ​the social​ ​media​ ​group​ ​that​ ​you’re​ ​in. You​ ​will​ ​lose​ ​all​ ​of​ ​your​ ​credibility​ ​if​ ​you​ ​begin to​ ​promote​ ​items​ ​that​ ​are​ ​worthless,​ ​just​ ​to​ ​make​ ​money​ ​from​ ​your followers. If​ ​they​ ​stumble​ ​on​ ​your​ ​account​ ​on​ ​Twitter,​ ​they’ll​ ​follow you​ ​because​ ​they​ ​know​ ​you​ ​from​ ​the​ ​Facebook​ ​group. ​These​ ​groups​ ​are​ ​free​ ​to​ ​join​ ​and​ ​only require​ ​an​ ​investment​ ​of​ ​your​ ​time​ ​and​ ​expertise​ ​to​ ​pay​ ​dividends. People​ ​who​ ​are​ ​influencers​ ​tend​ ​to​ ​have​ ​fans​ ​who will​ ​follow​ ​their​ ​recommendations​ ​almost​ ​unwaveringly. That​ ​means,​ ​if​ ​they​ ​post​ ​a​ ​link​ ​to​ ​your​ ​website​ ​on​ ​their​ ​website​ ​or​ ​on​ ​their social​ ​media​ ​platforms,​ ​their​ ​followers​ ​are​ ​going​ ​to​ ​want​ ​to​ ​see​ ​what​ ​it​ ​is. You​ ​could​ ​get​ ​a​ ​huge​ ​amount​ ​of​ ​traffic​ ​if one​ ​of​ ​these​ ​influencers​ ​decides​ ​to​ ​post​ ​to​ ​your​ ​website​ ​or​ ​mention​ ​your name​ ​somehow.​ ​This​ ​method​ ​is​ ​a​ ​terrific​ ​way​ ​to​ ​get​ ​that​ ​done. So,​ ​make​ ​sure​ ​that​ ​this​ ​article​ ​that​ ​you​ ​write​ ​is​ ​as​ ​good​ ​as​ ​it can​ ​possibly​ ​be​ ​–​ ​as​ ​good​ ​as​ ​you​ ​would​ ​find​ ​on​ ​professional​ ​sites​ ​within your​ ​industry. As​ ​previously​ ​mentioned,​ ​top​ ​10​ ​lists​ ​work​ ​exceptionally​ ​well​ ​for​ ​this, so​ ​make​ ​yours​ ​a​ ​top​ ​10​ ​list​ ​of​ ​whichever​ ​group​ ​of​ ​people​ ​you​ ​have​ ​chosen. 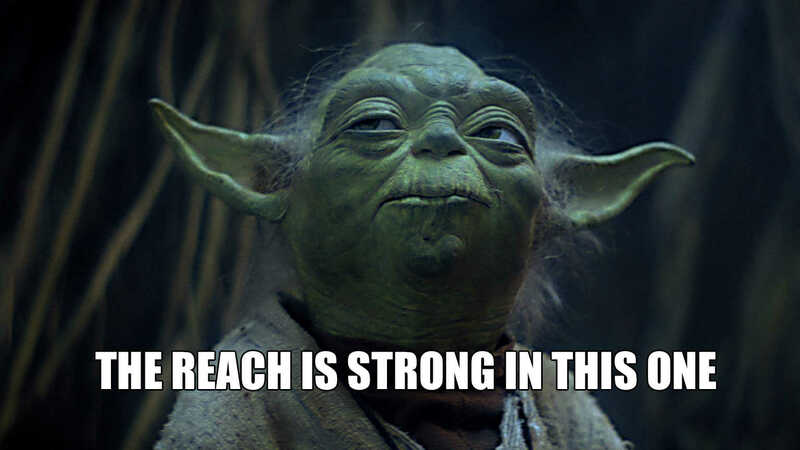 They​ ​may​ ​or​ ​may​ ​not​ ​respond​ ​by​ ​linking​ ​to​ ​your​ ​article. Some​ ​of​ ​them​ ​will.​ ​Whoever​ ​does​ ​is​ ​going​ ​to​ ​give​ ​you​ ​a​ ​great​ ​deal​ ​of​ ​traffic to​ ​your​ ​site,​ ​which​ ​is​ ​the​ ​goal​ ​of​ ​this. ​If​ ​they​ ​have​ ​the​ ​ability​ ​to​ ​influence​ ​others​ ​and​ ​the traffic​ ​that​ ​they​ ​could​ ​drive​ ​to​ ​your​ ​site​ ​might​ ​convert,​ ​then​ ​it’s​ ​worth​ ​writing an​ ​article​ ​about​ ​them. ​This​ ​level​ ​of​ ​influencer​ ​has​ ​articles​ ​written​ ​about​ ​them all​ ​the​ ​time.​ ​They​ ​are​ ​probably​ ​not​ ​going​ ​to​ ​care​ ​about​ ​a​ ​blog​ ​post​ ​naming them​ ​in​ ​the​ ​top​ ​10​ ​of​ ​anything. So,​ ​you​ ​have​ ​to​ ​find​ ​the​ ​perfect​ ​combination​ ​of​ ​someone​ ​who​ ​is influential​ ​but​ ​small​ ​time​ ​enough​ ​still​ ​to​ ​be​ ​willing​ ​to​ ​link​ ​to​ ​your​ ​article​ ​if​ ​you write​ ​about​ ​them. A​ ​viral​ ​report​ ​that​ ​is​ ​being​ ​passed​ ​around​ ​the Internet​ ​can​ ​generate​ ​a​ ​huge​ ​amount​ ​of​ ​traffic​ ​for​ ​you​ ​if​ ​you​ ​do​ ​it​ ​right.​ ​Here is​ ​what​ ​you​ ​need​ ​to​ ​know​ ​about​ ​the​ ​viral​ ​report​ ​method. So,​ ​the​ ​first​ ​thing​ ​that​ ​you’re​ ​going​ ​to​ ​have​ ​to​ ​do​ ​is​ ​to​ ​create​ ​the​ ​viral​ ​report. ​This​ ​is​ ​an​ ​extremely​ ​tall​ ​order,​ ​so​ ​you’ll​ ​have​ ​to​ ​figure​ ​out yourself​ ​how​ ​to​ ​do​ ​it​ ​because​ ​any​ ​advice​ ​given​ ​here​ ​would​ ​only​ ​apply​ ​to​ ​a specific​ ​industry​ ​and​ ​not​ ​to​ ​creating​ ​a​ ​viral​ ​report​ ​in​ ​general. ​That​ ​doesn’t​ ​necessarily​ ​mean​ ​that​ ​you​ ​have​ ​to​ ​appeal​ ​to every​ ​single​ ​person​ ​out​ ​there,​ ​though. This might​ ​not​ ​be​ ​shared​ ​with​ ​everyone,​ ​because​ ​not​ ​everyone​ ​is​ ​interested​ ​in singing​ ​or​ ​and​ ​auditioning​ ​for​ ​reality​ ​shows,​ ​but​ ​there​ ​are​ ​enough​ ​people out​ ​there​ ​to​ ​drive​ ​traffic​ ​to​ ​your​ ​website​ ​if​ ​the​ ​report​ ​went​ ​viral. When​ ​people​ ​read​ ​your​ ​report,​ ​you’re going​ ​to​ ​want​ ​them​ ​to​ ​consider​ ​it​ ​legitimate​ ​enough​ ​to​ ​share​ ​with​ ​other people,​ ​particularly​ ​through​ ​social​ ​media​ ​or​ ​on​ ​their​ ​own​ ​website​ ​or​ ​blog. This​ ​means​ ​camouflaging​ ​your​ ​website​ ​among​ ​all​ ​the​ ​others,​ ​so​ ​it​ ​doesn’t appear​ ​as​ ​if​ ​your​ ​site​ ​is​ ​getting​ ​any​ ​special​ ​treatment​ ​but​ ​is​ ​included​ ​as​ ​a legitimate​ ​option​ ​or​ ​solution. If​ ​you​ ​list​ ​your​ ​website​ ​as​ ​a​ ​way​ ​to drive​ ​traffic,​ ​and​ ​people​ ​get​ ​there​ ​and​ ​realize​ ​that​ ​you​ ​have​ ​nothing​ ​to​ ​offer, if​ ​they​ ​haven’t​ ​shared​ ​the​ ​report​ ​yet,​ ​they’re​ ​certainly​ ​not​ ​going​ ​to​ ​after​ ​that. If​ ​they​ ​have​ ​shared​ ​it,​ ​they’ll​ ​probably​ ​not​ ​share​ ​it​ ​further. Make​ ​sure​ ​you​ ​also​ ​put​ ​in​ ​the​ ​report​ ​itself​ ​that people​ ​can​ ​pass​ ​it​ ​along​ ​to​ ​their​ ​friends,​ ​colleagues,​ ​or​ ​whomever. In​ ​this​ ​book​ ​we​ ​have​ ​covered​ ​some​ ​of​ ​the​ ​ways​ ​that you​ ​can​ ​do​ ​it​ ​absolutely​ ​free-of-charge,​ ​including​ ​some​ ​revolutionary​ ​new methods​ ​that​ ​could​ ​potentially​ ​drive​ ​huge​ ​amount​ ​of​ ​traffic​ ​to​ ​your​ ​website. However,​ ​just​ ​like​ ​with​ ​the free​ ​methods,​ ​you​ ​should​ ​look​ ​outside​ ​the​ ​box​ ​and​ ​not​ ​use​ ​traffic generation​ ​techniques​ ​that​ ​everyone​ ​seems​ ​to​ ​be​ ​selling​ ​these​ ​days. Instead,​ ​you​ ​should​ ​look​ ​at​ ​your​ ​own​ ​ideas​ ​and​ ​then​ ​use​ ​your​ ​budget​ ​to supplement​ ​them​ ​and​ ​make​ ​them​ ​even​ ​better. Make ​​sure​​ that​​ your ​​website ​​is​​ as ​​professional-looking ​​and​​ clean​​ as ​​it can​ ​possibly​ ​be,​ ​with​ ​the​ ​right​ ​trust​ ​symbols,​ ​the​ ​right​ ​color​ ​scheme, and​ ​a​ ​winning,​ ​up-to-date​ ​design. 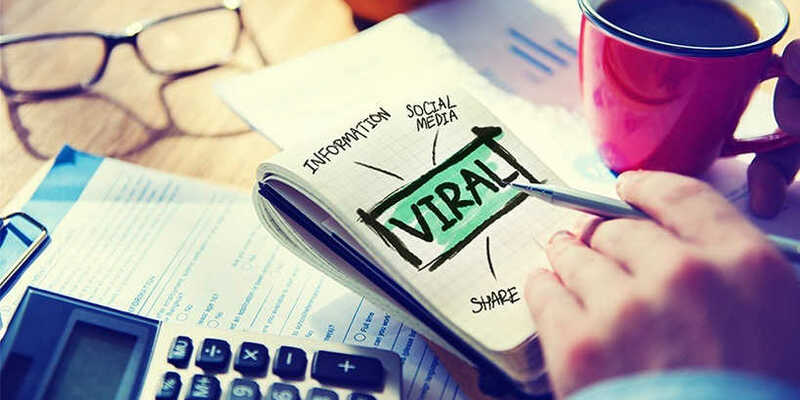 Use​​ viral ​​blogging ​​to​​ get ​​people​​ to ​​share​​ your ​​content, ​​driving ​​traffic directly​ ​back​ ​to​ ​your​ ​website​ ​by​ ​using​ ​the​ ​most​ ​common​ ​types​ ​of shared​ ​content​ ​such​ ​as​ ​top​ ​10​ ​list,​ ​celebrity​ ​news,​ ​and​ ​controversial topics. 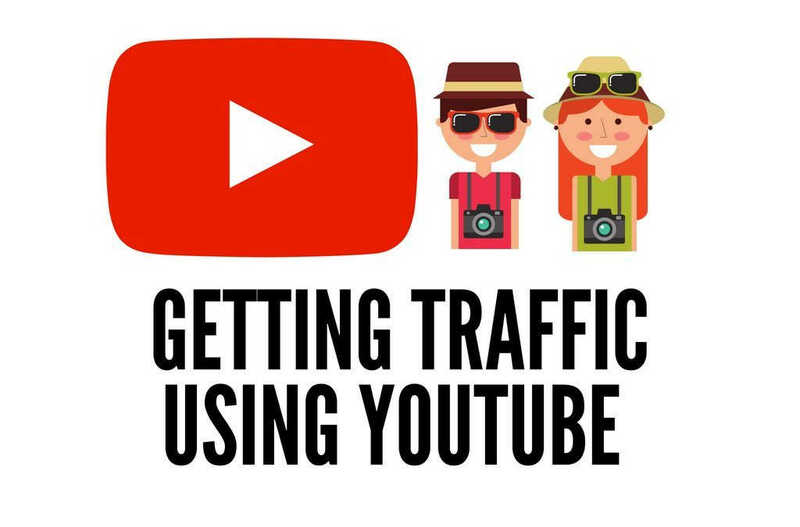 Use​​ YouTube ​​to​​ get ​​people ​​on ​​that​​ site ​​to​​ watch ​​your ​​videos ​​and then​ ​drive​ ​traffic​ ​from​ ​YouTube​ ​back​ ​to​ ​your​ ​own​ ​website. Put ​​a ​​link ​​to ​​your ​​website​​ in ​​your​​ forum​​ signature​​ on​​ every ​​related forum​ ​that​ ​you​ ​visit,​ ​and​ ​then​ ​post​ ​whenever​ ​you​ ​can,​ ​making​ ​sure​ ​to reply​ ​to​ ​other​ ​people’s​ ​posts,​ ​answering​ ​questions​ ​and​ ​giving​ ​advice. Look ​​for ​​other​​ sites​​ that ​​are​​ selling ​​related​​ products​​ and​​ find​​ the ​​ones that​ ​have​ ​a​ ​thank​ ​you​ ​page​ ​viewed​ ​after​ ​a​ ​person​ ​buys​ ​the​ ​product. Ask​ ​if​ ​they​ ​might​ ​trade​ ​links​ ​with​ ​you​ ​on​ ​that​ ​thank​ ​you​ ​page.​ ​You​ ​put their​ ​link​ ​on​ ​your​ ​thank​ ​you​ ​page,​ ​and​ ​they​ ​put​ ​your​ ​link​ ​on​ ​theirs. Use ​​podcasting,​​ with ​​a ​​professional​​ sound,​​ to ​​build ​​your ​​expertise​​ in the​ ​industry​ ​and​ ​to​ ​drive​ ​traffic​ ​back​ ​to​ ​your​ ​website. ​You​ ​can​ ​build​ ​your​ ​expertise​ ​that​ ​way by​ ​including​ ​a​ ​link​ ​to​ ​your​ ​own​ ​website,​ ​and​ ​then​ ​their​ ​visitors​ ​will become​ ​your​ ​visitors. 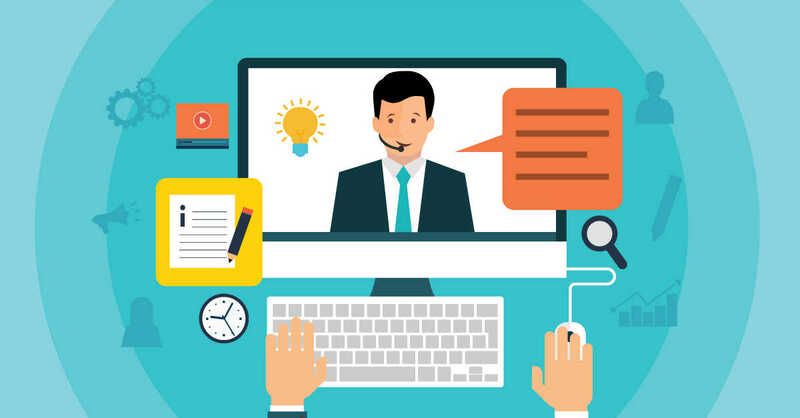 Hold​​ a ​​free ​​webinar​​ on ​​some ​​type ​​of​​ specific ​​topic ​​within ​​your industry​ ​and​ ​then​ ​invite​ ​every​ ​single​ ​person​ ​that​ ​you​ ​can,​ ​even​ ​letting people​ ​who​ ​are​ ​influential​ ​in​ ​the​ ​industry​ ​know​ ​that​ ​you’re​ ​having​ ​a free​ ​webinar​ ​so​ ​they​ ​can​ ​tell​ ​all​ ​their​ ​followers​ ​as​ ​well. Post​ ​expert​ ​content​ ​within​ ​these​ ​groups​ ​so​ ​that people​ ​will​ ​want​ ​to​ ​look​ ​you​ ​up​ ​and​ ​follow​ ​any​ ​links​ ​that​ ​you​ ​can​ ​post back​ ​to​ ​your​ ​own​ ​website. 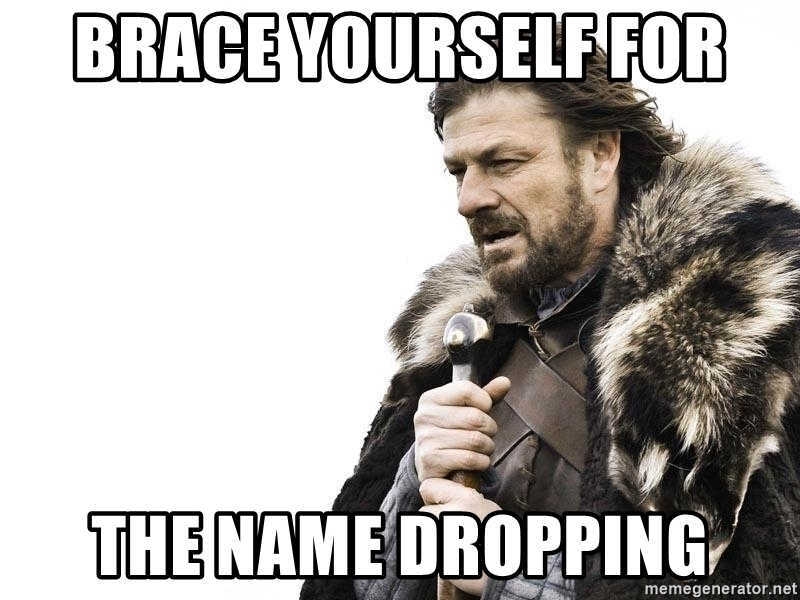 Use​​ the ​​name ​​dropping ​​method​​ to ​​get​​ people ​​to ​​link ​​to ​​your ​​site simply​ ​because​ ​you​ ​have​ ​mentioned​ ​them​ ​in​ ​an​ ​article​ ​that​ ​you​ ​have written. Create​​ a​​ report​​ that​​ solves ​​a problem​ ​within​ ​your​ ​industry​ ​and​ ​name​ ​your​ ​website​ ​as​ ​one​ ​of​ ​the solutions.​ ​​Distribute​ ​that​ ​report​ ​as​ ​widely​ ​as​ ​you​ ​can​ ​allowing​ ​people to​ ​share​ ​it​ ​freely.